Stitch maps have been around for a few years now. Yet many knitters still haven’t heard of them, or seen how they can clarify what’s going on within a stitch pattern. That’s why I’m enlisting your help in spreading the news. 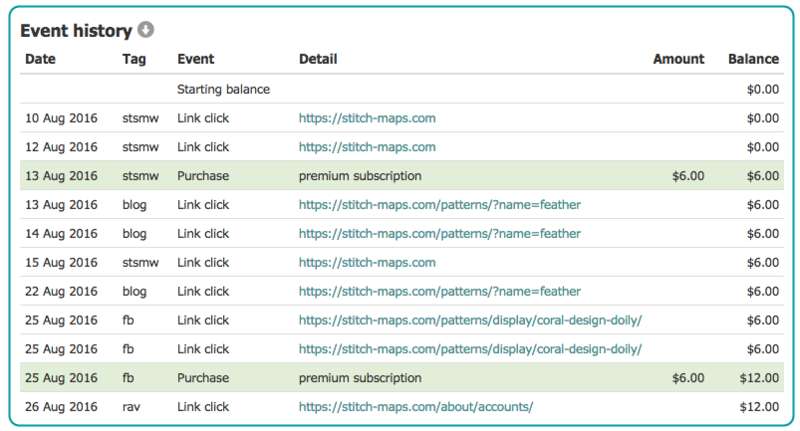 Stitch-Maps.com now has an affiliate program that rewards its affiliates for promoting the site via special “affiliate links.” In a nutshell, each time someone follows one of your affiliate links and subsequently purchases a subscription, you earn a 10% commission on their initial subscription payment. Sweet, huh? Creating links is easy. Once you’ve joined the affiliate program, a “Promote” link appears at the top of every page. Navigate to any page, click “Promote,” and that page’s link appears on the “Create an affiliate link” page, in the “Page link” text box. Your affiliate link appears below, ready to be copied and then pasted into your PDFs, web pages, or social media outlets. 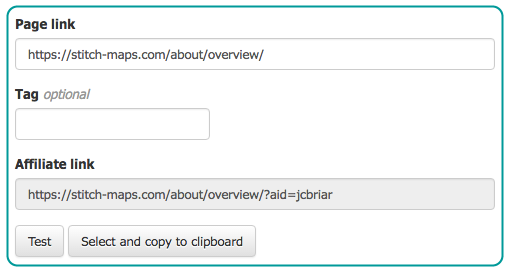 Bonus: Each of your affiliate links can include a tag of your choosing, if you’d like to associate the link with one of your marketing campaigns. The “View affiliate status” page lets you see which links have been clicked, so you can track the progress of your marketing campaigns. Commissions are paid quarterly, if you’ve earned $5.00 or more. Payments are made via PayPal, to the email address of your choice. You have to have a premium subscription to sign up for the affiliate program, and to earn commissions – though if your premium subscription has lapsed, we’ll still pay you the commissions you’ve earned. Want more details? See the Affiliate program page. Ready to join? Be my guest!